Scroll down, or click here, to donate to the official Roll20Con 2018 Charity, Take This! Tagged and scheduled Roll20CON games are now ad free and have access to Dynamic Lighting until the end of the day on June 24th, 2018 -- start preparing your games for the event today! Roll20CON is the free, online-only celebration of the Roll20 Community, starting Friday, June 22 and ending Sunday, June 24, 2018. The event includes two days of streaming, but this year we’ve added an extra day with no streams whatsoever -- Sunday, June 24th, so you don’t have to choose between running your games and enjoying the show! 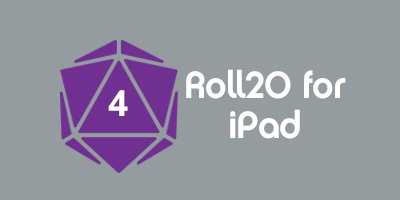 Enjoy ad-free games and Dynamic Lighting, two of our Plus subscription perks, absolutely free by adding the Roll20Con 2018 tag to your games! If you’ve been wanting to try Dynamic Lighting out but weren’t sure you were ready to commit to a paid subscription, this is your chance. See the Let's Play section below for details on creating, tagging, & listing games for the event, plus keep an eye out for any Roll20CON specific games to join from our Looking for Group tool. We are thrilled to be supporting Take This, whose mission is to provide education on mental disorders and mental illness prevention, and to reduce the stigma of mental illness. We hope you join us in supporting their worthy cause, as all donations during Roll20CON will go directly to them. Donations are now open! Check out the Let’s Donate info below to learn how you can donate to this amazing charity. Looking for a little inspiration as you prepare for the event? For an added layer of fun, the theme for this year’s Roll20CON is Sun-Touched! What happens when a creature or item meets the sun? It could be a radiant being, a sunburned adventurer (ouch! ), a gem sparkling in the light, or even a melting ice cream cone! If you’re looking for inspiration, why not incorporate this summery, hot theme into your games and character concepts? So just why are we doing this again... For you? Because you're awesome! To break our concurrent user record? That'd be pretty cool too... But our real reason... we want to give back and we'd love your help doing it! We're also hosting another Twitch event alongside the festivities here at Roll20.net! Take a break from your games and head over to the Roll20 Twitch Channel for 2 days of live role-playing - and our host this year is none other than the incomparable Anna Prosser Robinson! Scroll down to Let's Watch for a peak at some of your Roll20CON on Twitch guests! Warning: You have to be logged in BEFORE making a donation to receive the art pack reward. Please log in to your Roll20 account first. Take This, the non-profit dedicated to spreading mental health awareness, providing education about mental disorders and mental illness prevention, and to reducing the stigma of mental illness.-- is our official charitable partner for Roll20CON and we couldn’t be more pleased. Take This’ continued efforts to destigmatize mental illness and promote mutual understanding in the digital space align perfectly with the humanity inherent in playing tabletop and the vision and goals for this convention. Donate to Take This during Roll20CON and as a reward for your good deed, every Roll20 user who donates any amount during the event will receive a Roll20CON Exclusive Art Pack, featuring tokens & tiles from some of our Marketplace creators. After you make a donation, the pack will automatically be added to your account so you can access it right away. By clicking that donate button above, you’ll be helping make our gaming communities better. This year’s shirt features the beautifully draw art from our incredible convention poster, along with this year’s Roll20CON logo on the back. Artist Alexandra "Lexxy" Douglass is responsible for this masterpiece, check out the link for more artwork and info on Lexxy. You’re in high demand! Roll20CON is sure to see tons of players seeking games and you’re sure to be busy running the show. Mark any of your games for Roll20CON now by checking the “Event: Roll20CON 2018” box on your Game Details page. You must also schedule them between June 22th or our extended date of June 24th, 2018. Using our Looking for Group Tool, you will now start to see games tagged for Roll20CON. Use the Find Games to Join search box to narrow down the listings to suit your needs, making sure to check the “Event: Roll20CON 2018” box to see only games for Roll20CON. You are welcome to advertise your games using our Looking for Group forum, however in order to ensure you are included in Roll20CON, all LFG forum posts MUST include a link to your public Looking for Group listing. This will be enforced by our moderator team. Join us for 2 incredible days of live role-playing on Twitch during Roll20CON. Your host Anna Prosser Robinson will bring her usual charm and energy as she leads this epic charity stream -- plus our GM-in-Residence Adam will be closing out on Saturday in addition to running two games! We have amazing talent lined up for you once a gain this year! Cast reveals will be happening on Twitter in the days leading up to Roll20CON, so keep your eyes peeled!